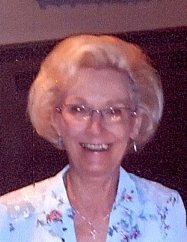 Marilyn Smith, 82, of Cottage Grove passed away on Monday, April 15, 2019 surrounded by her family at home. She fought a courageous battle with cancer. She loved doing crafty things like faux painting, glass painting, and sewing. She loved her beautiful house and kept it meticulously. The last 25 years she worked, was for Wells Fargo in Cottage Grove as an investment banker, retiring in 1993. Preceded in death by her infant sister, Darlene; parents, Ida and Claude Kadous; son, Richard J. Smith Jr., and brother-in-law, Jim Herbert. She is survived by her husband of 65 years, Richard Smith Sr.; son, Randy (Jody); grandsons, Ben (Hannah) and Joe (Emily) Smith; great-grandchildren, Lydia, Edgar and Owen; brother, Dave (Kay) Kadous; sister, Eileen Herbert; nephew, Tony Herbert; nieces, Dawn Cass, Kelly Johnson, Debbie Zaudtke. Special thanks to HeathEast Hospice and especially Aurora for all their help to the family. Marilyn will be greatly missed by her family, friends and pets. Private funeral services will be held on Saturday, April 20, 2019.